Are you ready to strip away your clothes and the stigma of mental illness? 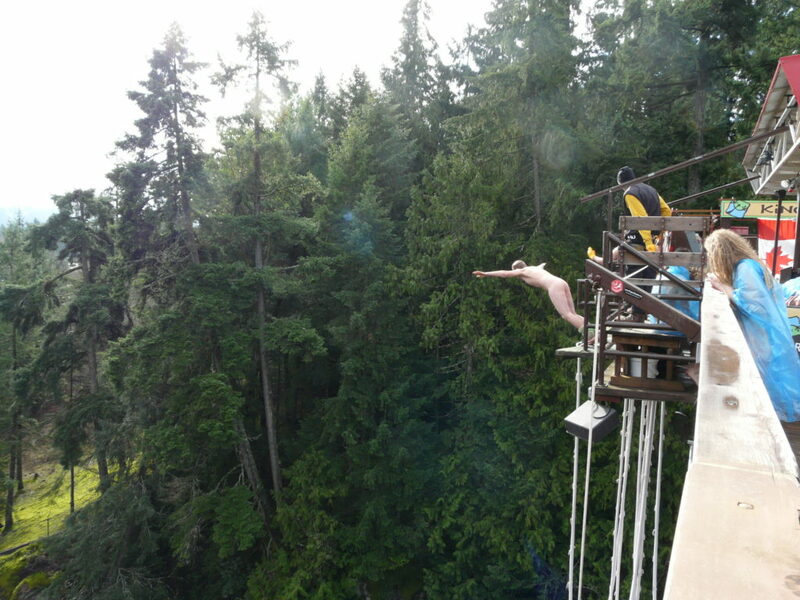 Be part of making a difference with a 150-foot Naked Bungy Jump! BUNGY JUMP NAKED – YOU’RE KIDDING ME, RIGHT? Nope. Your leap, pledges, and spectator donations help the British Columbia Schizophrenia Societies (BCSS) of Victoria and Nanaimo give mental health assistance to more than 2300 people this year (half* of whom may not have other support from friends, co-workers, or family). That includes all kinds of youth, advocacy, and awareness programs about schizophrenia – as well as individual and family support. Your participation reduces the perceived stigma of mental illness and makes the subject a lot less scary for everyone – and you don’t have to be an expert either. Use this great information from the BCSS online to let other people know why this event is important to you. Plus there’s your own free-from-fear (and clothing) experience! You’ll have the coolest adventure story of everyone you know.